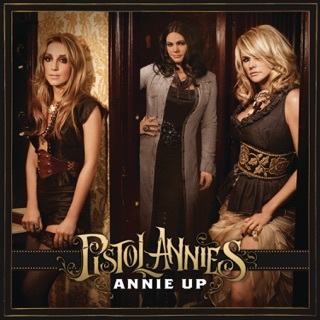 A gender-flipped answer to country supergroup The Highwaymen, Pistol Annies—Miranda Lambert, Ashley Monroe, and Angaleena Presley—use their third album to take aim at tired ex-partners and those parts of themselves they’re ready to cast off. The post-divorce anthem “Got My Name Changed Back” and role-reversal roadhouse jam “Sugar Daddy” show off the trio’s cheek. But when they slow things down, as on the cutting but compassionate “Best Years of My Life” and “When I Was His Wife,” their harmonies and candid lyricism reveal the bruises hiding beneath all that bravado. 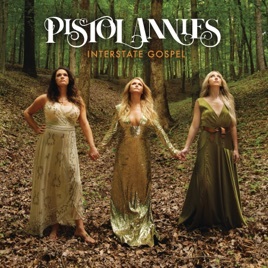 Interstate Gospel is a new kind of fairy tale, one that turns the false promise of a happy ending into a fresh start. It’s bad! Miranda Lambert can’t really sing! Seriously. That whiney twang. Lines like I’m gonna leave the bar dripping in married men? Yuck. And still crying about her ex husband who she constantly cheated on three years later? Give me a break. Very rare do you have music written by artists themselves that is about their personal lives which speaks volumes of what their lives have been about since their last recording. This is three women that have lived a lot of life and wrote about the pain and joy in a way we can each feel what they went through and can now enjoy their voyage through creative writing in the final form of music. Now this is country. By 3 amazing female singers. Rather hear this a million times, than today’s so called female “country” singers.